Han has always enjoyed driving disruptive technologies. Currently, Han, as Senior Product Manager, is driving UCS Big Data and Analytics solutions focusing on IoT and machine learning. Previously, Han drove the largest switching beta at Cisco with the software virtual switch, Nexus 1000V, leading to over 20,000 customers. 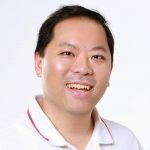 As Technical Marketing Manager and Product Manager, Han help to drive Cisco’s hybrid cloud strategy. Han has PhD in Electrical Engineering from Stanford University.